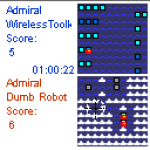 Well known battle ship game. Now for J2ME. Bluetooth support included.